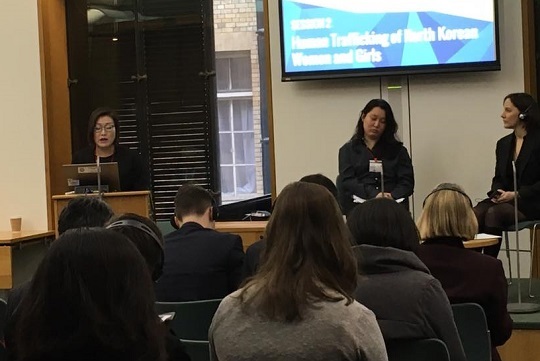 A female ex-prisoner gave testimony in the British Parliament on human rights violations took place in North Korean reeducation camp. 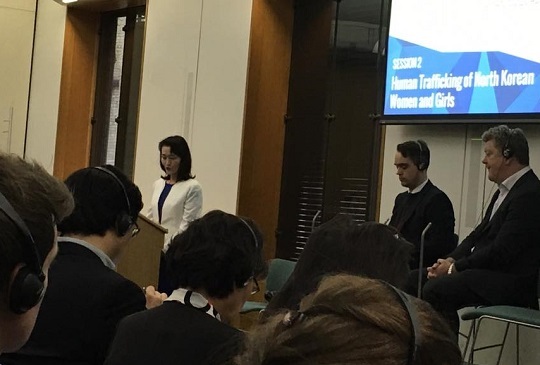 It was an excerpt from testimony of Min-Kyung Choi, a defector who experienced human rights violations in reeducation camp after she was repatriated from China. 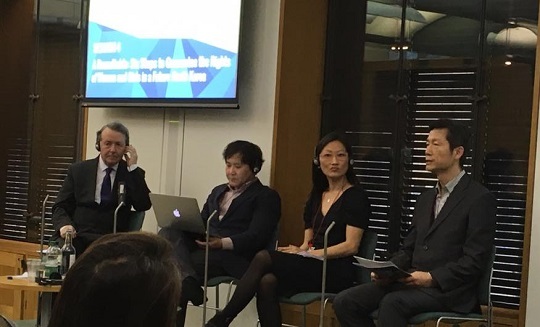 Min-Kyung Choi attended ‘International Conference for the commemoration of the U.N. Commission of Inquiry Report’s Second Anniversary’, which was held by All-Party Parliamentary Group on North Korea (APPG) and International Coalition to Stop Crimes against North Korea (ICNK). Choi fled North Korea during the Arduous March period. In 2008, Chinese police caught her and she was repatriated accordingly. She had a trial that lasted less than 15 minutes, and was sentenced to the imprisonment in reeducation camp. In December 2008, she was imprisoned in ‘Hoeryung Jeongeori reeducation camp’. Especially, she emphasized gruesome sanitary conditions and insufficient food supply in reeducation camp. Thus, prisoners were highly susceptible to infectious diseases and could not maintain their health. This event’s host organization, APPG, was founded in 2004. 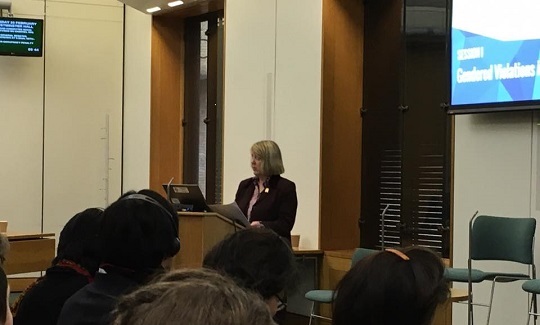 It is a group composed of members of British Parliament, including Conservative Party’s Members of Parliament, Lord Alton and Fiona Bruce. 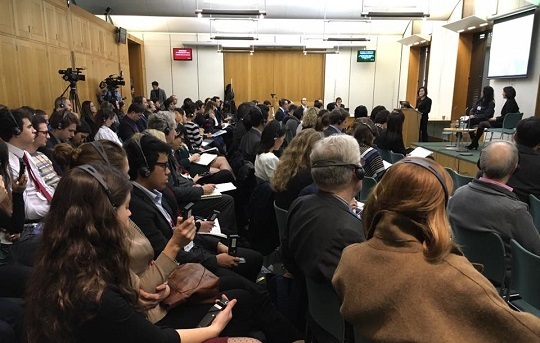 The event was held in Portcullis House in the Palace of Westminster.